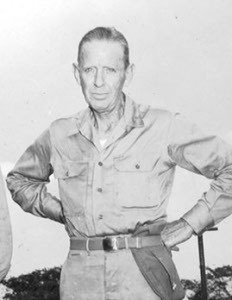 The Pacific War Online Encyclopedia: Purnell, William R.
William R. Purnell was a rear admiral and chief of staff of the Asiatic Fleet at the outbreak of war. A highly competent officer, he received top ratings from the secret ad hoc selection board convened by Navy Secretary Knox in March 1942. He later sat on the Military Policy Committee that advised Roosevelt on nuclear weapons development.